Emily Katz Anhalt, Enraged: Why Violent Times Need Ancient Greek Myths. New Haven; London: Yale University Press, 2017. Pp. xiv, 268. ISBN 9780300217377. $30.00. A political climate dominated by intolerance and polarization has transformed conversations about public engagement in classical studies. The most common thread in these conversations has been a call to end scholarly assumptions of cultural superiority and exclusivity in the field: such assumptions, it is argued, have too often fueled a classicizing rhetoric of racial supremacy, as in the far right's appropriations of Greek and Roman antiquity during the 2016 US presidential elections.1 In addition to ethical concerns about complicity in hate speech, many have also pointed out that a classical exceptionalism is at odds with public commitments to inclusivity and diversity in the field, as well as current trends in critical theory.2 Similar critiques have been directed at accounts of "Western civilization" which downplay the history of violence associated with that tradition and suppose a Western cultural homogeneity that does not stand up to any amount of serious scrutiny.3 In short, for the field of classical studies to thrive in the age of Trump, such positions should be reckoned with and ultimately abandoned as a justification for the study of antiquity. As these discussions evolve online against the backdrop of a rapidly changing political frontier, a topical book-length study, like Emily Katz Anhalt's Enraged: Why Violent Times Need Ancient Greek Myths, does not always make for an easy fit. The book is also an explicit response to today's toxic political culture, deplores the attrition of democratic norms, and is committed to their restoration. It also often presents original appeals to compassionate reflection and justice in the study of antiquity, which, through readings of Homeric epic and Greek tragedy, Anhalt prescribes as an antidote to modern political dysfunction. But Anhalt's study falls out-of-step with current debates by asserting a unique Greek propensity towards compassion and justice, which Anhalt considers to be characteristic of all Greek myths rather than merely distinguishing Homer and the tragedians. Taken together with uneasy asides about continuities between the enlightened Greeks and their legatees in the modern West, these positions weaken Anhalt's more engaging insights, especially as the scholarly conversation moves away from claiming any kind of exceptionalism as the basis for public engagement in today's fractious society. The book contains six studies of three classical Greek texts: principally, Homer's Iliad, which occupies well over half the work; and two tragedies, Sophocles' Ajax and Euripides' Hecuba. What unites all three texts is not only the depiction of rage in all its far-reaching and catastrophic consequences, but also, and distinctively, the shared humanity of both the enraged and their victims. The Iliad and Ajax, for example, conclude with memorable scenes of unlikely reconciliation: in the Iliad, Achilles and Priam find comfort and consolation across enemy lines; in Ajax, Odysseus intervenes in the bitter dispute between the sons of Atreus and Teucer to allow the burial of his would-be murderer Ajax. Euripides' Hecuba, meanwhile, provides a poignant counterexample to these two texts, depicting the readiness of a democratic assembly to pursue an inhumane course of action - the ritual murder of Hecuba's daughter - and Hecuba's own tormented descent into murderous revenge. Anhalt's study is at its best when describing the remarkable depth of character in these texts and their tendency towards complex, open- ended accounts of human social relations over grotesque stereotypes or reductive clichés. In texts fixated on war and conflict, there are few irredeemably wicked characters; even unpleasant characters capable of monstrous crimes, like Sophocles' Ajax or Polymestor in Hecuba, are not mere pantomime villains, but ruined by recognizable human biases and follies. Opportunities for kindness emerge, meanwhile, in the most surprising places. The effect is to reorient the reader's worldview, opening the way to critical reflection and making it difficult to commit to any violent dehumanization. In a chapter on Iliad Book 6, "Them and Us", for instance, Anhalt follows the book from Greek rampages to desperately sympathetic depictions of doomed Trojans within the walls of their embattled city. Since neither side's plight is obviously privileged, despite the poem's Greek provenance, the Iliad "begins to promote the capacity of its audience, as individuals, to acknowledge and respect the essential humanity of every other individual... [and] cultivate the audience's awareness of multiple perspectives on events" (38). Here, as elsewhere in the book, Anhalt also attaches strong importance to the cultivation of moral judgment in times of crisis: the study of Iliad 6 focuses on Hector's tragic attachment to a code of honor that will drive him and his city to destruction even as his tender affection for his family pulls him back. These texts also are conspicuous for how they frame sophisticated characterization with a careful attention to political context. In the chapter on Sophocles' Ajax, Anhalt explores at some length Odysseus' victory in the contest for the arms of Achilles following a popular vote, which undermines the aristocratic standards of the Homeric warrior elite that would have given the arms to Ajax. Far from condemning Ajax's attempts at bloody revenge that follow, the play urges a sustained meditation on the damage inflicted when we unthinkingly defer questions of fairness and value to majority rule: "[t]o utterly abandon the old absolute standards is to surrender all questions of right and wrong to the convenience of the most unscrupulous and manipulative ones among us… Ajax's rage and suicide warn against the failure to value facts and the failure to reward high achievement that serves the community" (139). This reading of Ajax is not new, and similar questions were also recently posed to a general audience in Paul Woodruff's The Ajax Dilemma.4 But Sophocles' provocation brings a new urgency in a time when a typical assumption about democratic participation is that it renders all opinions and values equivalent, pending a majority verdict or even social media virality. The resulting pandemic of bitter political polarization mediated by hyper-partisan reporting and elected representatives with only the most tenuous, self-serving relationship with reality makes Anhalt's reappraisal of Ajax rewarding and unnerving. Assessments in this vein demonstrate the contemporary appeal of Homer, Sophocles, and Euripides for readers seeking to understand compassionate and critical responses to rage and violence. But, as the book's title indicates, Anhalt goes further by generalizing these qualities as characteristic of the entire Greek mythological tradition, eliding distinctions between myth and text in pursuit of a much deeper Greek preoccupation with reason and reconciliation. Far from a conceptual misstep, this move is integral to Anhalt's thesis of a beneficial relationship between Greek myths and social progress dangerously absent in our times: because of the instrumental function of myths "in cultivating values and skills essential to rational, humane, compassionate relationships" (3), Greek myths "began long ago to cultivate their audiences' capacity for empathy" (166) and assured the evolution of the Greek world "from tribalism to civil society, from private vendetta to communal legal procedure, from physical violence to verbal debate" (3). The waning interest in Greek myths — the fact that "we ignore the Greeks' eloquent testimony" (4) - is therefore evidence for the decline in basic civility during the current political crisis. This is surely a rose-tinted vision of any mythological tradition: even a cursory survey of Greek myths reveals a mythological culture far more concerned with aggressively enforcing social codes and consolidating group identity.5 More to the point, Anhalt's account of the advance of civilization through Greek myths creates an ideological impasse to the book's more central claims about the political value of critical reflection in the search for a more just society. As the book progresses, Anhalt appends to the thesis of Greek evolution selective statements about the West's reception of Greek wisdom: the work celebrates the "crucial role that ancient Greek myths played in the development of Western culture" (6), and leans on an especially unnecessary American parochialism in the claim that, after the fall of Athenian democracy, "no other democracy appeared anywhere in the world until our [American] republic in the eighteenth century" (194). There are two problems here. First, it suggests that the failures of these societies - which, Anhalt recognizes, include slavery, and gender and racial inequality - are just temporary blips which can be remedied by simply reasserting the cultural superiority of Western heritage. Second, it overcommits Anhalt to a myth of another kind, the foundation myth of the modern West, in which faith in an emancipatory rhetoric of universal rights obscures the persistent reinscription of privilege based on race, gender, culture, religion, social class, and nation-state; where, in the words of the historian and essayist Pankaj Mishra, "individual satisfaction with the actually available degree of freedom constantly collides with elaborate theories and promises of individual freedom and empowerment".6 Contemplation of conflicting ethical and political imperatives like these are the very stuff of Greek tragedy, but for all Anhalt's acute readings elsewhere, such contemplation is frustratingly absent in the book's final summation. In fact, rather than closing on a call for careful reflection on the current state of affairs, Anhalt ends on something of a call-to-arms, resisting equivocation on the origins of rage in the modern era, and regarding opposition to modern instances of violence a clear-cut affair: "history shows that freedom and tolerance are delicate flowers and vulnerable to obliteration by the forces of the less reasonable, less farsighted, less tolerant… tolerance itself poses a grave danger, as it may make us perilously inactive" (193). But without adopting a more comprehensively critical approach to crisis, how can we ever hope to identify who is less reasonable and less tolerant? Is it those who do not adopt Western ideals, whatever they are? 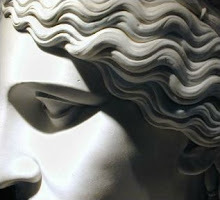 Those who do not know about Greek myths? Anhalt would have us believe that the Greek texts themselves lead to different conclusions. The main text is accompanied by extensive endnotes, bibliography, and index. 1. For examples of the exploitation of classical images and ideas by the US "alt-right", see Donna Zuckerberg's Eidolon piece, "How to be a Good Classicist under a Bad Emperor". Several prominent classicists have also been targeted online by the far right for challenging selective and racially-charged visions of classical antiquity, such as Sarah Bond over her critique of "whitewashing" classical art and culture, and Mary Beard for her defense of the BBC and its depictions of diversity in the ancient Roman world. 2. Rebecca Futo Kennedy's blog post, "We Condone It by our Silence", is a good example of this kind of polemic. Classics' recent history of keeping pace with current political and cultural trends (or failing to) can be found in Adler, E. 2016. Classics, the Culture Wars, and Beyond (Ann Arbor, MI: University of Michigan Press). Adler also reviews Classics' poor record of racial diversity at 216-218; see also Mathura Umachandran on white fragility in the field of classical studies. 3. e.g. Blouin, K. 2018, "Civilization: What's up with that?". 4. Woodruff, P. 2014. The Ajax Dilemma: Justice, Fairness, and Rewards (Oxford: Oxford University Press). 5. For a survey of the use of myth in constructions of Greekness, see Graf, F. 2011, "Myth and Hellenic Identities," in Dowden, K. and Livingstone, N. edd. A Companion to Greek Mythology (Malden, MA and Oxford: Wiley- Blackwell), 211-226. Case studies of myths and polis identities can be found in Pozzi, D.C. and Wickersham, J.M. edd. 1991. Myth and the Polis (Ithaca, NY and London: Cornell University Press). Certainly, Greek myths become a staging ground for reflecting on ethical dilemmas in Greek tragedy, but this innovative form can hardly be taken as representative of the entire mythological tradition; cf. Segal, C. 1983, "Greek myth as a semiotic and structural system and the problem of tragedy", Arethusa 16, 173-98. 6. Mishra, P. 2017. Age of Anger: A History of the Present (New York, NY: Farrar, Straus and Giroux), 332.